We are still having so much fun with Groundhog Day. 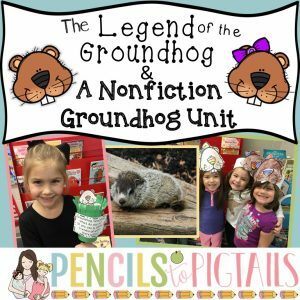 Today we reread the class book “Legend of the Groundhog”. 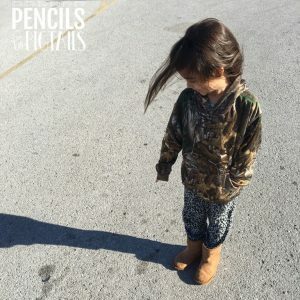 When we got outside the students were so excited to look at each of their shadows. I asked them some higher order thinking questions. 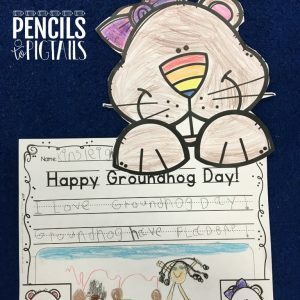 “Why would the groundhog be scared of his own shadow?” They were on the right track when a couple answered that he might think it was a monster. I agreed with them that he was scared of something or someone, but NOT a monster. Another child piped up that he was scared of a predator. What impressive vocabulary for a kindergarten student! There is something so sweet about this picture! When we came inside students filled out the sheet with the sentence starter, “Our class went outside and ….” I told the students that they all needed to write that they “did” see their shadow but they could make their own decisions about whether or not they thought this meant 6 more weeks of winter. Later I let them decide if they wanted to do the writing craftivity with “The Legend of the Groundhog” on top or “Happy Groundhog Day!” on top. 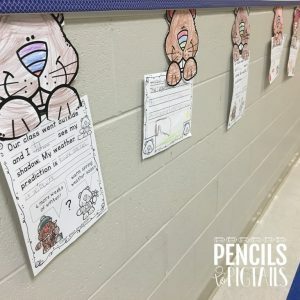 Students decided which paper they were most proud of and glued their groundhogs to the top for an easy hallway display. As I’ve said before, my students are total experts on groundhogs now. I loved how these turned out! I love the way this quick hallway display turned out! Make sure to read over my other post about Groundhog Day! Let me know how you celebrate this special day with your class.